Hello everyone! I hope that you are staying safe and warm wherever this post may find you. I also trust that those who attended Midwinter have finally all made it back home without further incident, particularly those of you who were stranded at airports waiting for flights, any flights, that would get you home. Since midwinter there has been considerable unpacking – literally and metaphorically. 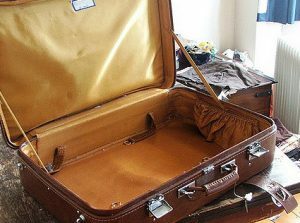 Some of you are unpacking suitcases full of books, posters, and other exciting finds from the exhibits, along with meeting notes and your conference clothes. Many people have also been unpacking all those thoughts swirling around in your head from networking, engaging sessions and keynotes, committee meetings, encounters with colleagues, and the barrage of online conversations related to the Youth Media Awards (YMAs) and the much needed conversations about walking the walk to ensure everyone is treated equitably and humanely. The latter stemming from multiple inexcusable, negative encounters faced by our colleagues at Midwinter. Microaggressions, macroaggressions, and all out aggressions. 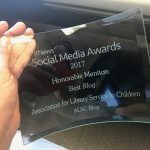 For those of you unable to attend Midwinter, you can explore some of the ALSC happenings and reflections here via our live ALSC bloggers or look up #alamw19 on social media. In this post, I want to briefly direct you to two recent responses from ALA related to Midwinter occurrences. Then, I’ll highlight major Board decisions and discussions. The Youth Media Awards (YMAs) press conference included announcements of affiliate awards first the first time this year. Winners of the picture book, children’s literature, and young adult literature categories of the 2019 Asian/Pacific American Award for Literature (awarded by the Asian/Pacific Americans Librarians Association) were announced as were the gold winners of the 2019 Sydney Taylor Book Awards (awarded by the Association of Jewish Libraries). Winners of the 2018 American Indian Youth Literature Award (awarded by the American Indian Library Association) were highlighted as well [the awards are given every 2 years so no 2019 awards were conferred; the next will be in 2020). 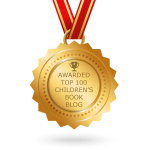 However, the honor books for all of these awards were not announced at the 2019 YMAs. ALA worked directly with the affiliates in advance of Midwinter to decide which awards would be announced during the YMAs live press conference. A response “Reflections on the 2019 Youth Media Awards” has been issued by Jody Gray, Director of the ALA Office for Diversity, Literacy and Outreach Services whose office planned the YMAs and provides additional information and context. On Monday, January 28th during ALA Council Forum, where ALA councilors at large as well as those representing specific divisions or chapters meet, an incident occurred where one councilor publicly denigrated another one. (Note: ALSC leadership, including the ALSC Councilor, were in the ALSC Board meeting at this time, I am relying on second hand information and not from the point of view of someone in the room). This incident was – simply put – unacceptable and goes against ALA core values as well as ALSC’s own competencies and values. The ALA Executive Board issued a statement related to the event here. 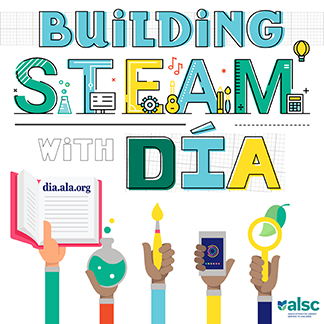 I share both of these Midwinter happenings with you to keep you informed but also to direct you back to what ALSC leadership is doing (shared in the next section) related to diversity and inclusion in our division, as both of these occurrences are clearly related to equity, diversity, and inclusion work. I hope that all ALSC members will commit to being diversity advocates even when it may feel uncomfortable. Promoting EDI values in the daily work that we do (at ALSC, in our workplaces, and within the larger world) can be tough, but is essential if we want to create spaces where all truly means all! As I mentioned in previous blog posts, the ALSC Board of Directors had a packed agenda for our two Midwinter Board meetings. We started the first Board meeting being introduced to ALSC’s Emerging Leader Georgina Rivas-Martinez who is working with Emerging Leaders from other divisions on a peer-mentoring project from the ALA International Relations Round Table. Additionally, we met ALSC’s inaugural Equity Fellows, who attended numerous ALSC meetings and other mentorship events (planned by our hardworking Equity, Diversity, and Inclusion within ALSC Task Force) to help track them as future leaders within ALSC. These fellows include: Eiyana Favers, Ayn Reyes Frazee, Evelyn Keolian, Shahrazad “Star” Khan, Sierra McKenzie and Jocelyn Moore. The Board reviewed our ALSC Strategic Plan implementation progress to ensure work is on track and noted all the great work our committees and taskforces are doing to meet the three areas of our strategic plan: advocacy, diversity & inclusion, and learning & development. From this evaluation, we discussed the open ALSC Everyday Advocacy Content Editor position and its role in relationship to the current work of ALSC’s Advocacy and Legislation Committee and Public Awareness Committee, and the new resources and web redesign from the ALA Washington Office. In an effort to align ALSC’s current member work in the area of advocacy and avoid duplication, the Board decided not to fill the Everyday Advocacy content editor position at this moment and to charge the Public Awareness Committee to examine ALSC’s advocacy strategy as part of their current advocacy toolkit that they are building. The committee will assess the overall ALA and ALSC resources currently available (and forthcoming) to recommend a sound strategy to move forward with ensuring ALSC members have the best advocacy tools and resources available to them. In an effort to address the third objective of our strategic plan under Diversity and Inclusion (Increase the cultural competency of library staff serving youth by developing an accessible online cultural competency training series. ), the ALSC Education Committee put forth a detailed proposal for cultural humility training that includes creating community of practices related to various facets of diversity and inclusion. Among the recommendations of the committee is the development of a Communities of Practice (CoP) Task Force to further explore how best to operationalize the various education and training recommendations. The Board voted to approve the formation of this TF and appointments for a chair and members of the TF will begin soon. The charges of several committees were reviewed to determine current effectiveness and streamline efforts when possible. The Board approved a minor change to the charge of the Special Collections and Bechtel Fellowship Committee to allow for flexibility in the time that a researcher, receiving the Bechtel fellowship, could spend at the Baldwin Library at the University of Florida. The Board examined the charge of the Oral History Committee, which has been responsible for collecting oral histories for the association. Given the complicated and demanding process related to this work, no new histories have been collected since the original task force started in the 1990’s. The committee has been tasked with exploring and re-envisioning their charge to capture other types of association history. The ALSC Board voted to ask the committee to discern what a new history committee (in place of the oral history committee) would look like to collect the history of ALSC and our members. At the same time, the committee is also asked to identify other areas within our current committees and communications channels where historical collection and sharing could be conducted. Upon the recommendations of a working group that included representatives from the former Every Child Ready to Read (ECRR) Oversight Committee, Organization & Bylaws Committee, and Early Childhood Programs and Services Committee, the Board approved the development of a new Early & Family Literacy Committee to continue our work in the areas of early and family literacy. The charge of this new committee will focus on identifying, synthesizing and disseminating current research findings relevant to early and family literacy issues. Vice-President Cecilia McGowan will make inaugural appointments to this committee in Spring 2019, with the expectation that the committee will commence its work in July 2019. The Board also approved tweaking the charge of the Early Childhood Programs and Services Committee to avoid any overlap between their work and this newly formed committee. During our board meetings, the board also received recommendations from two different working groups related to our awards: The Pura Belpré Award Expansion Task Force and the Awards Program Review Task Force. After ALSC’s executive board met with leadership from YALSA and REFORMA, the entire ALSC Board considered the recommendations from the Pura Belpré Award Expansion Task Force, which was charged with discerning how the Belpré awards might be expanded to include young adult literature. The Board voted to accept the recommendations of the TF, which included the addtion of a YA category, an expanded target age range for the illustrator category, and restructuring of the award selection committee to include representation from YALSA, REFORMA, and ALSC. The first joint award among all three associations will be given in 2021 which will coincide with the award’s 25th anniversary. The Awards Program Review Task Force was charged with reviewing ALSC awards program for consistency between the legacy of the honoree-in-name, the purpose of the award, and ALSC’s core values. They were also asked to consider how these awards fund ALSC’s operating budget as well as the ALSC’s relationships with external sponsors, endowments, and/or partners. The ALSC Board reviewed the recommendations in Executive Session due to partnership, sponsorship, and other privileged information that required confidential discussion. No decisions on the recommendations of the TF were made, and the Board will continue discussion during our February board meeting. The Board reviewed the first draft of the Project LOCAL whitepaper written by J. Elizabeth Mills, Dr. Kathleen Campana, and Dr. Michelle H. Martin. This paper provides an actionable model for youth services outreach along with numerous examples from libraries across the United States that are engaged in dynamic outreach to children and their families. Once finalized, it will be available on the ALSC website. As you can see, quite a bit happened at Midwinter. Our members and ALSC Leadership engaged in many important conversations and accomplished critical work that will inevitably move our association forward. And, the amazing, hardworking, ALSC staff worked tirelessly behind the scenes to keep us organized and ready for action. I look forward to forthcoming committee quarterly reports later this month that will illuminate how all our committees are strategically moving us forward and the numerous ways that we can grow as an association to reinforce our advocacy, diversity & inclusion, and learning & development efforts. I’m deeply saddened to hear about Everyday Advocacy. Helming the initiative for 5 years and empowering ALSC members to tell amazing library stories have been among my greatest professional joys. I hope ALSC leaders will reconsider this decision.